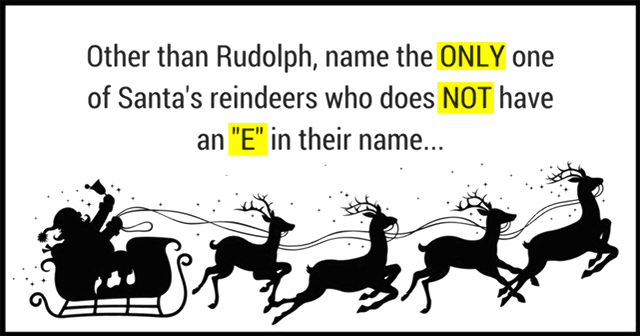 It is Christmas time so we are testing your Christmas knowledge with this fun brainteaser riddle! This brainteaser might look simple but it’s harder than expected. You will need to be in the Christmas mood to remember your trivia. Did you figure it out? No? Keep Trying! SHARE now with your friends and loved ones to test their Christmas knowledge and get them into the festive spirit!